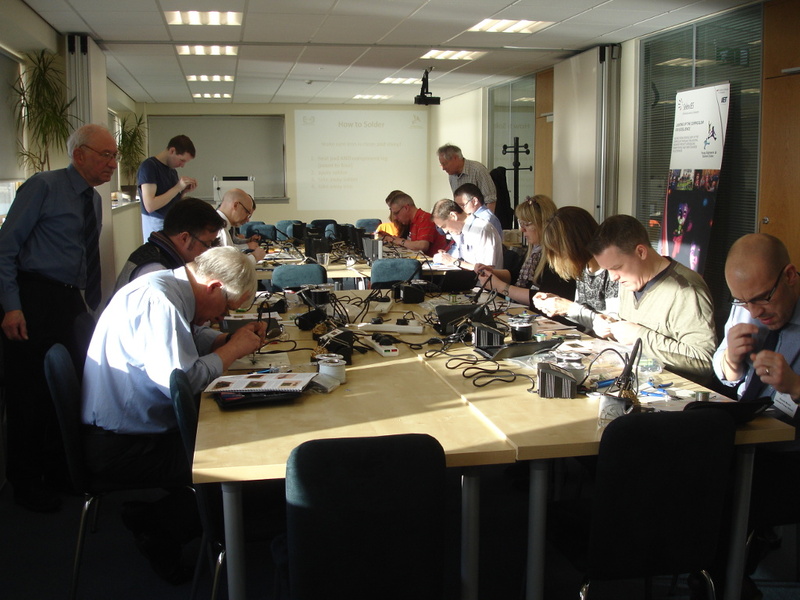 With expert tuition from passionate professionals, we show you the basics of soldering and fault-finding in a half-day workshop. "Using the equipment – making mistakes and sorting them – means we can help the children with any problems they encounter." "You get a sensible answer to a silly question." "I am looking forward to starting a young engineers club – this course has refired my interest!" "This will generate a lot of enthusiasm from children and let them get creative." "I feel this is in line with Curriculum for Excellence – opening up more doors for children to get creative." 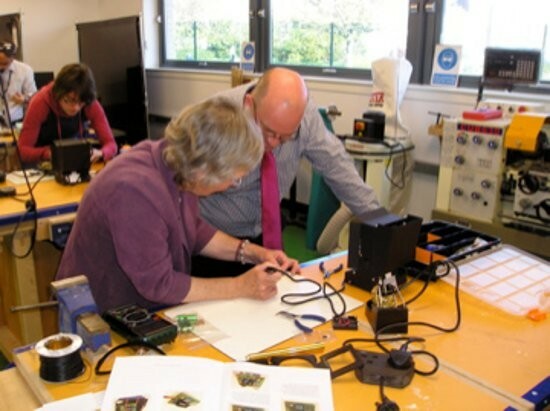 2019 will see three soldering workshops offering primary teachers free Lighting Up starter kits and soldering tuition, in Midlothian, Ayrshire and Aberdeen City/shire. The workshops will run in combination with Rampaging Chariots, with free robot kits and tuition available for high school teachers. 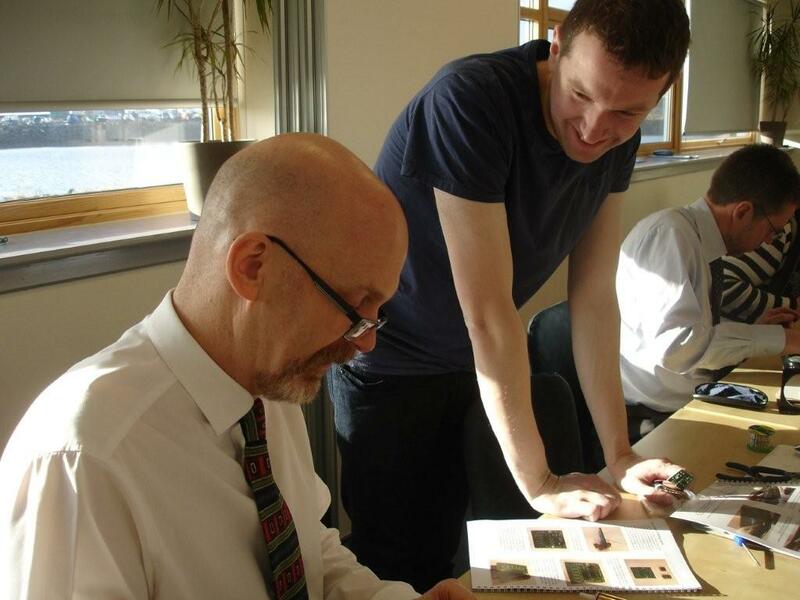 Teachers who have been to previous workshops and their colleagues are also welcome for refresher tuition. If you are interested please contact Benjie Marwick Johnstone to reserve a space. 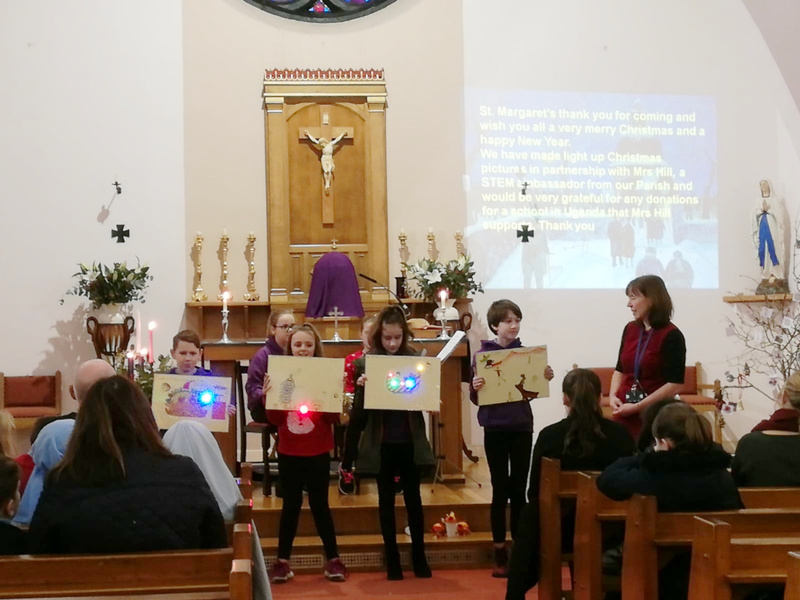 Over 80 children in Penicuik and Loanhead had a marvellous time making light-up 'drones' as well as Christmas cards used to raise money for a school in Uganda. 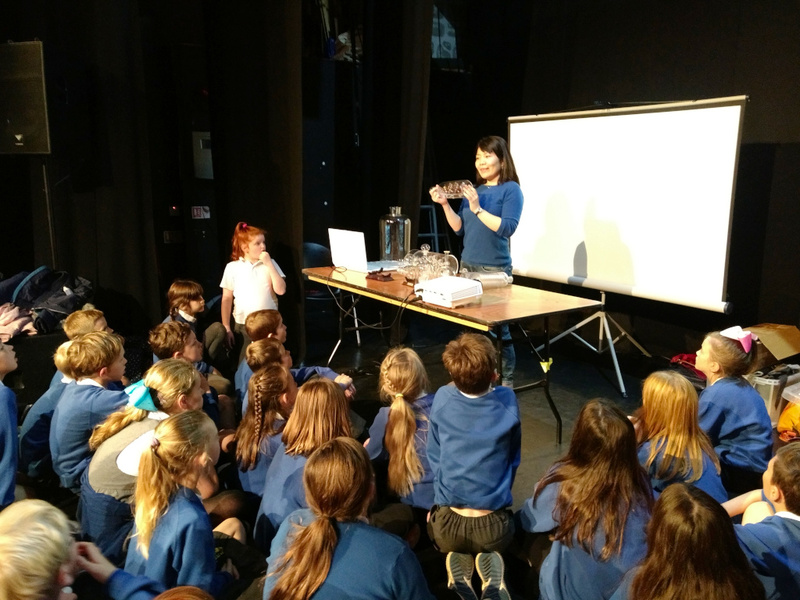 Over 260 primary children and helpers joined soldering experts and engineers for the 'Essential Engineering' Lighting Up workshops during the annual Science Event at the the Eastgate Theatre, Peebles. Newly introduced 'Terrific Technology' completed the STEM menu alongside Mystery Maths and Splendid Science (Fun Physics and Brilliant Biochemistry). Dr. Ayako Tani, artist and glass blower, currently resident professor at the Sunderland Museum of glass, joined the new children's 'Terrific Technology' workshops with her amazing ships in bottles. 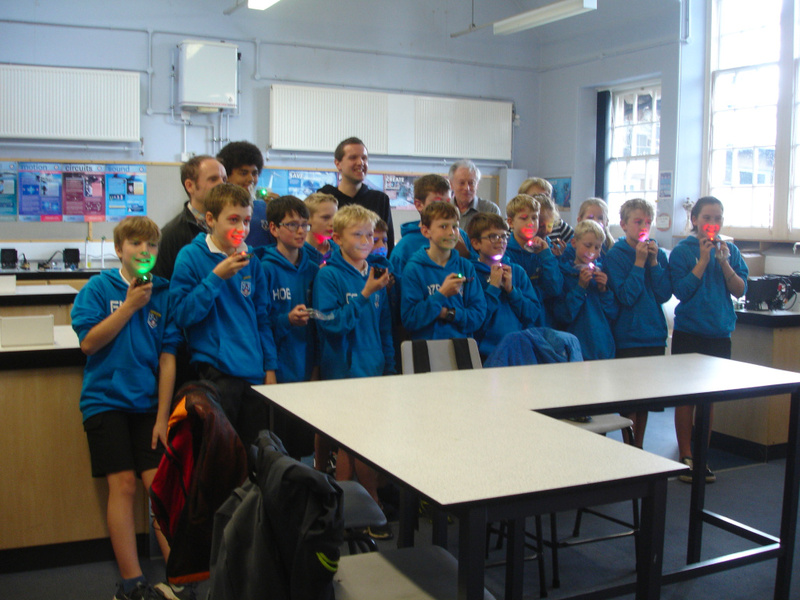 Terrific Technology was also ably supported by Leonardo, Edinburgh Laser Optics and STEM Ambassadors. Dr. Tani also shared the evening with Professor Lesley Yellowlees who gave this year's brilliant Family Lecture on Alternative Energy. 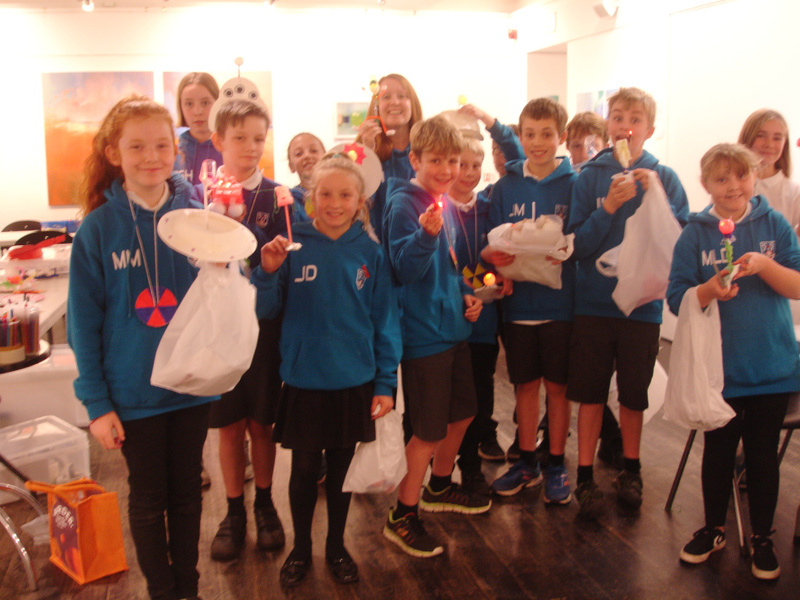 16 P7 pupils from Peebles primary schools joined our soldering workshop at Peebles High School in advance of the annual Eastgate workshop. All 16 succeeded in making a rainbow....... and being de-"lighted".